Notice it or not? There is a hot trendy hair styles fashion coming quietly to our life. What is it? If you have looked at the idols’ hair style, you will find that Braid Style is being more and more Popular in 2016, Really? Let’s have a look together the Fashion Trendy Braid Styles in 2016. First, look at January Jones’ recently hair style, she make her hair into three strands of twist tails and weaving them as a hair bun at the neck. No matter watch it from frnot or back, this braid style is not just of a great sense of fashion, but also perfect for those with short hair. Definetly the good news to the girls with short hair. Let’s have a look at Karlie Kloss‘ hair, she braids her hair into two small strands of twist tails too, though her hair are not long, after laying them down to her shoulders, it still make her looks more lively and playful. 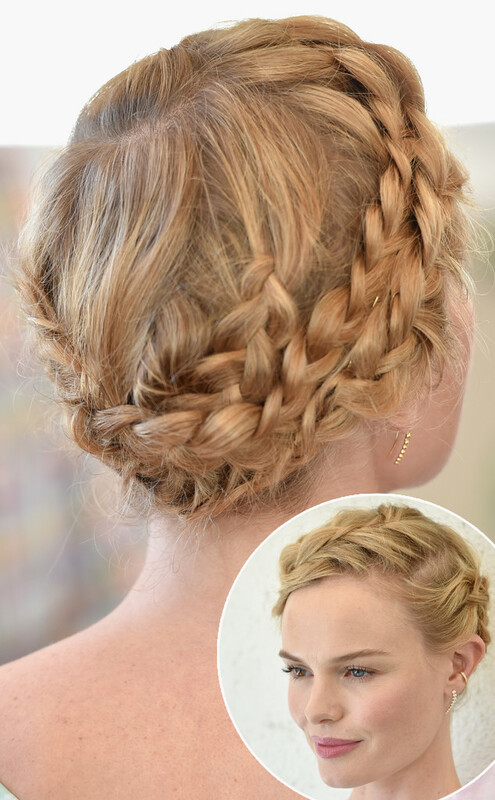 Kate Bosworth‘s Braid looks more like an crown on her head, she twists and braid her hair around on her head with a side part style, which make it looks more noble and of princess taste. However Amanda Seyfried choose to put her long hair and 4 little braids mixed together to make a feminine and slightly hippie style, beautiful, doesn’t she? Cara Delevingne combine her braids and hair bun together which make her hair more cool neat sense. Rita Ora’s hairstyle is similar to Cara Delevingne’s, but because of the difference between hair color they owning, Rita Ora’s look more futuristic, matching with her big eyebow, that just so charming. If you are those who pursuit stable girls, then you will find Rooney Mara‘s braided hair is just your taste. Twisting few bundles twist braids on the basis of her natural ponytail hair, then you can own your fresh and trendy hair style. Laura Whitmore’s braid style, in my opinion, will more fit for ladies. It compiles braids on the basis of long bangs, which will be a good balance to the twist tails’ girls uninhibited style. 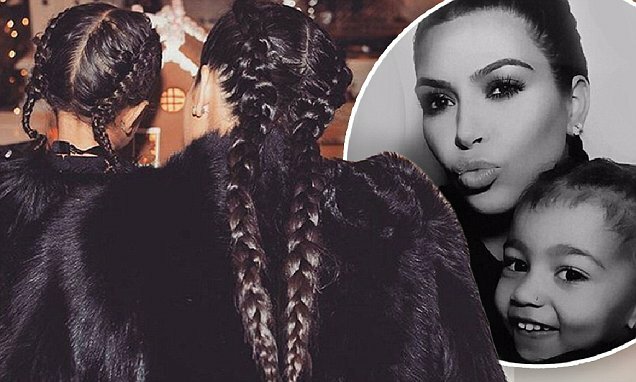 To me, i am more prefer the baby girl and mother Kim Kardashian’s family lovely braided hair style, is there anything can match to these daught and mother’s braid style of love? There always will be the focus when it comes to a cute girl and mother with the same braid style, they are not only just hair styles, but a precious memory for your daughter and you. After looking all these idols’ fashion trendy hair braids, are you same with me that can’t wait to make a braids style of yours? Yeah, i am so delight to make one. If you want to make yours, and lack of hair material, then you can have a look here, enjoy your braids style now!